Finally, after many years I decided to take a good look at Kata Temple. Just behind the temple is a place called Kata Big Rock, where you can find a pool used by scuba diving companies for dive training. I must have been there 50 times at least, driving through the main entrance to Kata Temple, but never actually taking time to look at the temple itself. I must have driven past the temple entrance 1000 times. 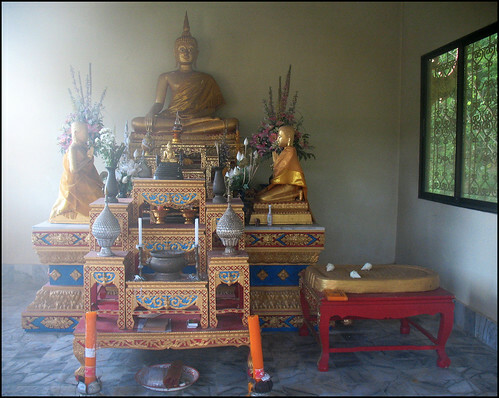 Kata Temple is located on the back road (called "Patak Road") about 1km from Kata Beach as the sparrow flies, further by road. 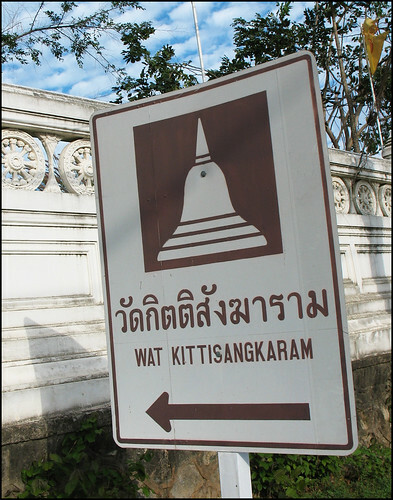 It seems not many tourists come here, and I can hardly locate any information about the temple on the web, but Kata Temple is easy enough to find - just follow the back road around Kata and Karon and look for the sign and the obvious temple entrance. The main temple grounds have recently been rebuilt so much of the temple looks brand new. Lots of freshly painted walls here, and still some work going on - I saw some workers painting while I visited. There is a school here too. This has also been newly built, which can only be a good thing for the kids. 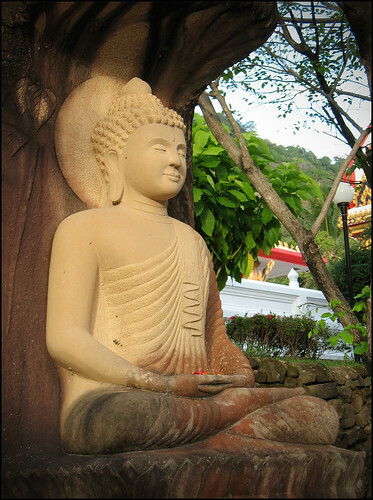 Around the temple grounds I found one of the most serene Buddha statues I have ever seen. Look at the face. Serene. 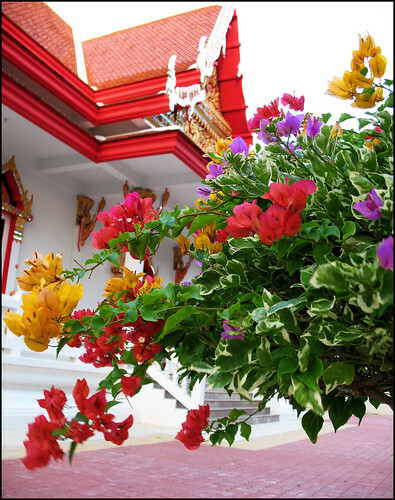 If you are passing by, in the Kata area, take a few minutes to visit Kata Temple. 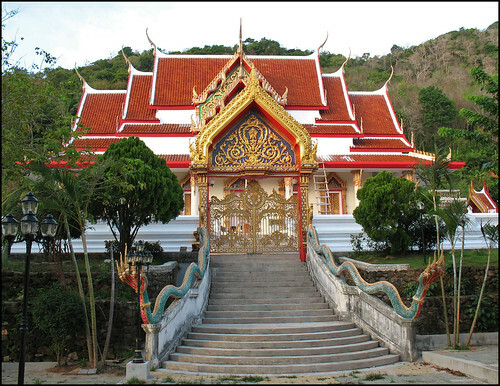 Every area of Phuket has it's own local temple. 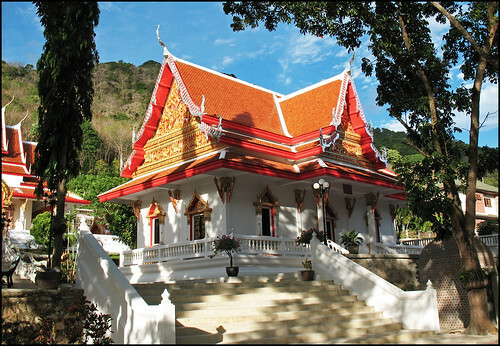 Just a few km down the road you'll find Karon Temple near Karon Beach. 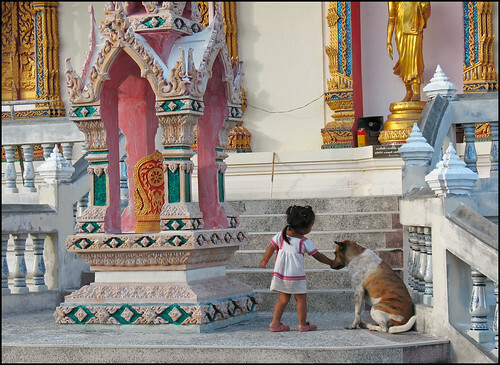 Take a look at the temple nearest your hotel, and if you are a temple lover like me, check out some more Temples in Phuket.